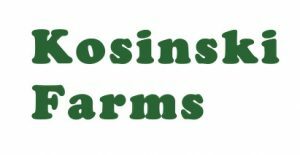 Are you a farm or local food entrepreneur located in the Pioneer Valley? Does your farm or food business need financing to help you break through to the next level? If so, the PVGrows Investment Fund can help you finance and develop your business. Do you have ideas about how to grow your business but need help developing your plans? We can connect you to the necessary business assistance to get you ready for financing. Businesses that complete an PVGIF Inquiry Form will be considered for business development services such as developing a business plan, regulatory compliance, marketing, and management assistance up to $10,000 in value. Learn more about our Business Assistance Program. Ready to complete a PVGrows Investment Fund Inquiry Form? Completing this brief form gets the process started. Inquiry Forms are reviewed monthly, and your information is kept confidential. Click here to learn more about all of our borrowers.